The Templars have been transported through the dust of history to occupy a place in our consciousness that transcends who they really were and what they actually did. Hundreds of books and numerous movies and television shows have elevated them to a legendary status that occasionally includes a germ of truth. 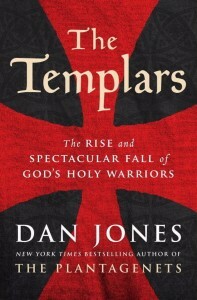 Popular movies have included “The Last Templar” and “Blood of the Templars.” Novelists have ranged from Dan Brown to Steve Berry to Umberto Eco. Significantly fewer non-fiction studies are available. These include Malcolm Barber and Helen Nicholson, both of whose were resources to Dan Jones for his fine new book The Templars. According to their vows, the Templars answered only to God, the master (that is, the man who was their leader), and the Pope. Mere kings or army generals held no sway over their decisions. This gave them wide latitude and made them a fierce and flexible fighting force as they fought for Christianity. Conversely, this very strength caused the kings who hired them to view the Templars with some reluctance. The Templars’ focus on the greater glory of God and themselves created a certain frisson of distrust. David McCullough said in a recent interview that he is not a historian but a story-teller. Just so, Dan Jones is an eminent teller of a “narrative history,” as he terms this brilliant account. 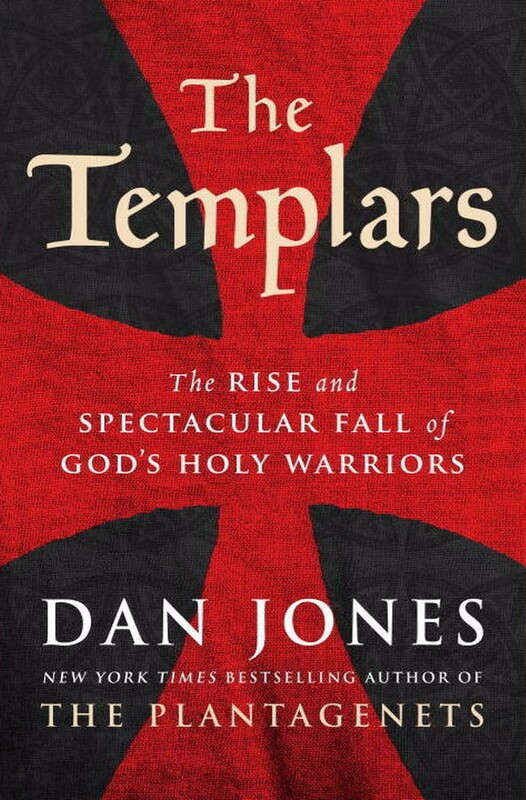 The Templars reveals his skill at digging into the facts and casting away the legends that have been attached to these self-styled Christian knights. Taking vows of poverty and chastity, they amassed great wealth. Some were even permitted to marry. Fierce warriors, they never retreated once engaged in battle. At the Battle of Ascalon, for example, their tiny band of 40 knights rushed in too soon as the walls crumbled. All were eventually slaughtered and their bodies hung from the city walls. One week later, on August 22, 1153, the city finally surrendered after a nearly eight-month siege — a week too late for the Templars. The Templars were founded in 1119 by Hugh of Payns, a French knight and their first master, after the First Crusade. The common name by which we know them was short for “The Poor Knighthood of the Temple,” referring to the Temple complex in Jerusalem. They existed only from the 12th to the early 14th Century but in their time they came to be known as a “new knighthood” and a “new monstrosity.” They were written about almost from their founding. Before the end of the 12th Century William of Tyre voiced his suspicions about the intentions of the Templars in his chronicle, History of Deeds Done Beyond the Sea. The Muslim writer Ibn al-Athir wrote a detailed journal about the relationship between the Franks and Muslims in the early 13th Century. Jones divides his narrative into four parts. “Pilgrims” details the origins of the Templars while “Soldiers” reveals how they became an elite fighting force and their work in the Second Crusade. “Bankers” tells about the financial donations they received and details the scope of their “properties and personnel across Christendom.” The roots of their destruction are tilled in “Heretics.” An epilogue exposes the Templars as they appear in our romanticized imagination. In addition to a detailed and useful bibliography, Jones provides an especially important list and mini description of the major characters, European and Muslim, who figure in his narrative. These include caliphs, kings, popes, saints, and writers. Saladin, Sultan of Egypt and Syria, and Richard I the Lionheart, even Francis of Assisi are noted here. Dan Jones has a knack for revealing history in a manner that makes it accessible and interesting to even the most history-phobic reader. Best known for his history of The Plantagenets, he has also written Magna Carta and The War of the Roses. As a follow-up to the present volume, he is the historical consultant to “Knightfall,” an A&E drama on the Templars due to air in 2018.